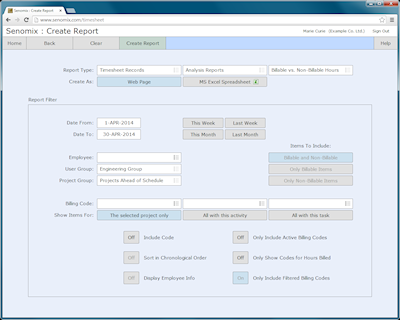 Once staff effort and expenses have been recorded in Senomix Timesheets, you can immediately create informative reports to see how your office time and budgeted funds are being directed. 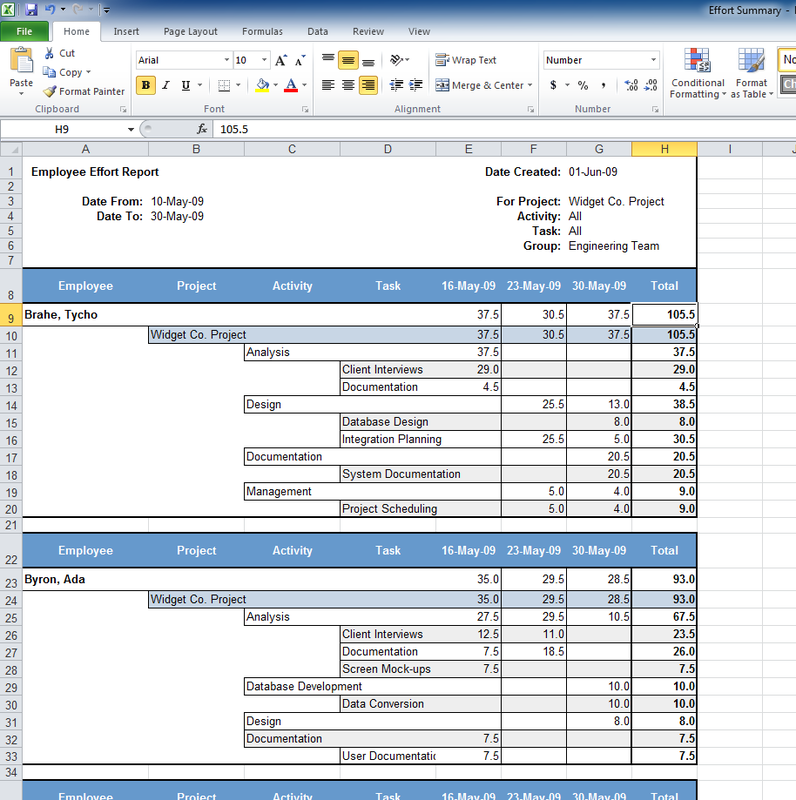 Whether you're looking to identify billable and non-billable hours, see how time has been spent on a specific project, summarize work performed by an employee, or see which tasks are consuming the most time for your staff, the reports provided with Senomix Timesheets will allow you to quickly fetch those answers and turn your time and expense data into actionable information. 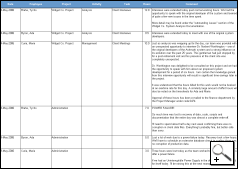 You can examine projects as a whole or view specific employee or team effort to help spot project bottlenecks and areas of concern before they become problems. Helping you stay on top of pressing issues, you can also view timesheet comments in a simple summary listing, providing a quick briefing of points of concern for your office without requiring time-consuming all-hands status meetings. 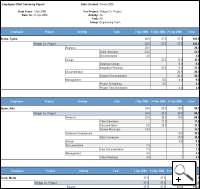 System reports can be created on your computer as formatted text, or be opened directly in Microsoft Excel, allowing you to use that spreadsheet program to arrange and adjust your data as you would like. 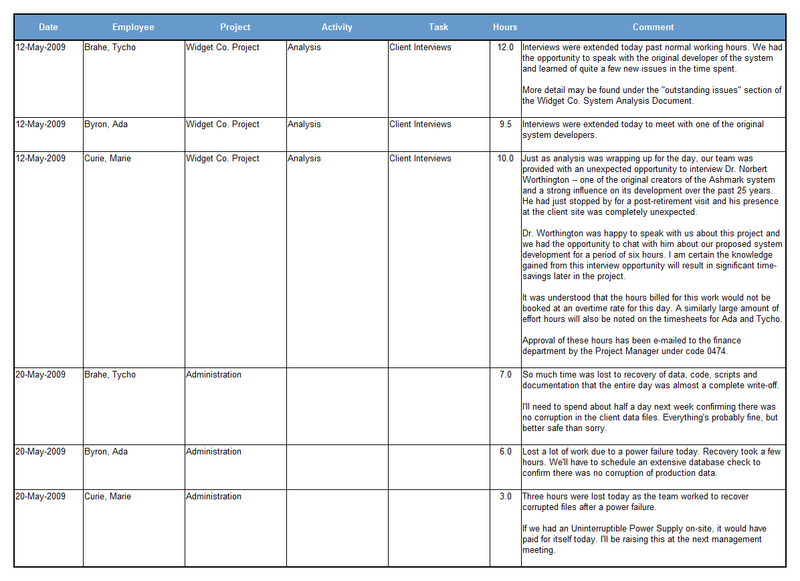 Helping managers stay engaged with their staff, various levels of access can be provided for system reports to allow supervisors to view non-financial data for tracking team effort. Employees can also be granted permission to generate reports for their own data, providing direct feedback for their work, allowing them to view total vacation hours taken to date, or identify where their effort is being directed without requiring a briefing from managers. 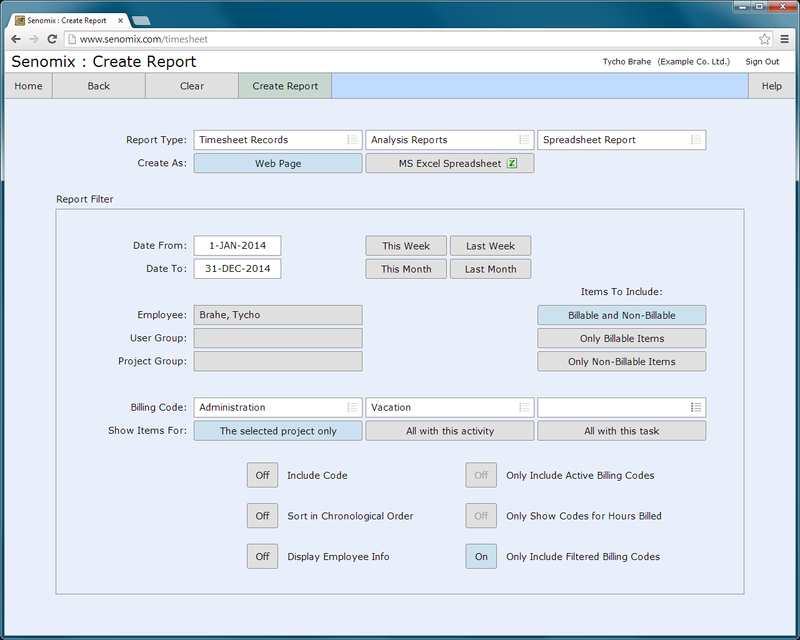 A summary of the various capabilities offered by the Senomix report creation screen can be found in the Senomix Reports - Quick Reference guide provided on your Help and User Guides page. 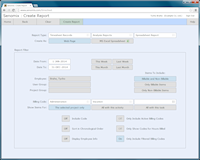 Further details and report examples can also be found in the Administration Users Guide as you need them, with a free trial of the system available if you would like to try those options for yourself. 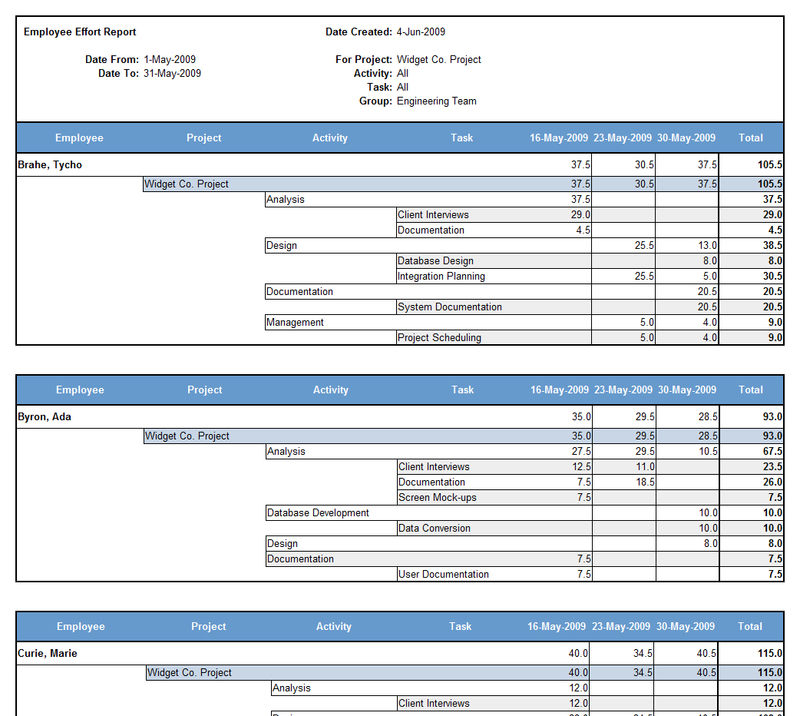 Flexible in content and easy to create, the reports of Senomix Timesheets give you immediate answers to your billing, project status and managerial questions. performed by you and your staff every working day. and ensure a minimum of disruption to your priority work. We are delighted with the product, which has been accepted without a murmur by everyone. The boss is finding the reports very useful.